After two terms as district attorney of San Francisco (2004-2011), Harris was twice elected attorney general of California (2011-2017), becoming the first woman and the first black person to serve as chief law enforcement officer of that populous state. 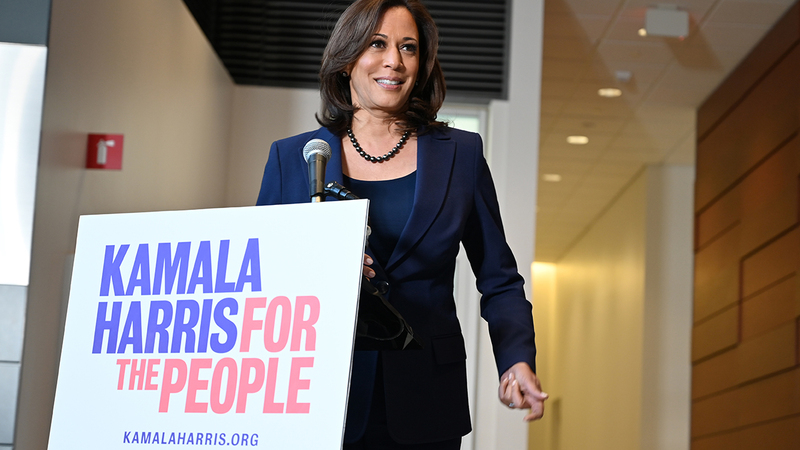 The daughter of immigrants — her father is from Jamaica — Harris grew up in the 1960s in the progressive hotbed of Oakland, California, proud of the struggle her parents waged for civil rights. “My mother was the strongest person I have ever known,” she has written on Twitter. After her parents separated when she was about five years old, it was Kamala’s mother who raised her and her younger sister, Maya, who went on to become a lawyer and an advisor to Hillary Clinton during the 2016 presidential campaign. Hers was a happy childhood, Harris now says, where education was highly valued. But Harris has also experienced discrimination. “I have too many memories of my brilliant mother being treated as though she were dumb because of her accent,” she wrote in her autobiography. “There are powerful forces — including this president — that are attempting to vilify immigrants because they were born in another country,” she said recently on CNN.